Białystok is a provincial capital and the largest city in the north-eastern region of Poland. Warsaw – the capital of the country is only 188 km (116 miles) away. Bialystok is a rather small city in terms of size, considering its big population – it is the second most densely populated city in Poland. Most of the sights worth visiting are in the strict centre of the town. 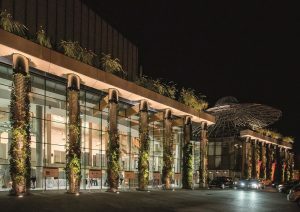 Białystok is also a scientific centre, the seat of: Bialystok University of Technology, University of Bialystok, Medical University of Bialystok as well as Warsaw Branches of Theatre Academy and Academy of Music. There are also a dozen non-public educational institutions in Bialystok. 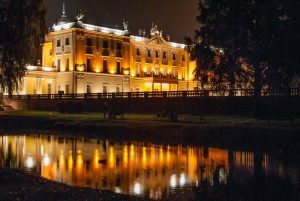 Bialystok is the obvious hub for discovering the natural wonders of the Podlasie region. There are 4 national parks in the region, including the world-famous Bialowieza National Park, the UNESCO World Heritage Site. The nearby town of Choroszcz is an entrance point to the beautiful Narwia National Park. The town centre itself is well preserved and features a majestic baroque church as well as Branickis’ summer residence, currently comprising a museum with a collection of memorabilia connected with the Branicki family. How to get to Bialystok? The closest Polish public international airport is the Warsaw Chopin Airport in the capital, located some 200 km away. This airport is being served by most major normal and low-budget airlines. The convenient way to get to Bialystok from there is to take a bus no. 175 to the Warsaw city centre and then take a train or a coach to Bialystok. There is a direct coach connection from the airport operated by Podlasie Express. Another option for travellers from the East (i.e. Belarus or Russia) is to fly to Hrodna Airport in Hrodna (Grodno), which is a city on the Belarussian border only 40 km away from Bialystok. Bear in mind that to get to Poland from Russia, Belarus or other non Schengen area’s you will need a visa and that you may spend a significant amount of time waiting at the border for clearance. This is the most affordable choice of getting in to Białystok from Warsaw. There are a lot of trains from Warsaw. The journey takes about 2 hours. Białystok has also direct connections with other cities in northern Poland such as Gdańsk and Olsztyn. You can easily get there by car from Warsaw, Gdańsk (A1) and Poznań. PKS Bialystok operates coaches to most major cities in Poland. There are also many international connections, such as London, Brussels, and Baltic countries. PolskiBus.com and Podlasie-express.pl operate a high quality and value for money service between Bialystok and Warsaw daily. Tickets can easily be booked on line.